Community Education Providers Network across Bristol, North Somerset, & South Gloucestershire – Apprenticeship Event. A very interesting discussion yesterday at the above conference relating to the L5 Diploma for Assistant Practitioners and the Nursing Associate programme. At Varsity Training we have been delivering the level 5 Diploma for Assistant Practitioners in Healthcare for a number of years and feel that it offers a more flexible and cost-effective qualification for the Band 4 healthcare worker. We deliver the programme across a range of employers, from Acute Trusts, Health Centres and Community Interest Companies. Our students are not only from nursing backgrounds but from a full range of Allied Health Professions. The programme we offer allows students from a range of practice areas to benefit from the foundation degree equivalent programme. Students will also be able to progress onto the Adult Nursing Pathway at UWE should they wish to. As you will see in the comparison table attached the L5 Diploma for Assistant Practitioners in Healthcare has many advantages that make it a positive move in relation to development of the Band 4 worker in a General Practice or Health Centre setting. With the further possibility of 100% funding available to Healthcare providers within the region, this really is the time to consider the possibility of placing staff on this programme. Varsity Training is a specialist provider with a long history of providing this and other programmes focused on healthcare and management. We are based within the South West and being a local provider are responsive to your needs and support you and your students fully throughout the selection, enrolment and duration of the programme. If this programme would be of interest to you then please get in touch and we will be more than happy to come out and discuss the programme in detail with you. Not required – students focus on work area Mandatory programme requirement – 6 week placements. All knowledge delivered within programme must be related to and supported by evidence from practice area. Knowledge assessed against academic requirement of course as laid down by University. 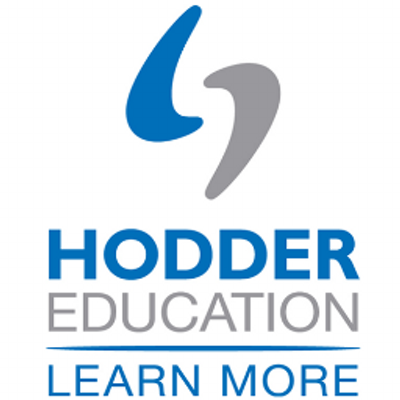 Dedicated e-portfolio with supporting materials and resources to further support students. Portfolio links to smart devices allowing student to upload audio & video recording, as well as pictures. Portfolio also hosts dedicated communication system to facilitate effective communication with assessment team. All used to increase contact with student without impacting on work area – reducing the time student needs to out of work. Are you a senior worker in a health/nursing setting, or employer with care staff to up-skill? The Assistant Practitioner programme is ideally suited to those individuals that work in a senior position in such areas as Nursing Homes, Hospices, Acute Trusts and Community Interest Companies (formally Primary Care Trusts). Varsity Training is one of the few private sector providers of this qualification and already deliver the course in a range of statutory, private and voluntary settings. This is a full 120 credit level 5 Higher Apprenticeship and an excellent professional qualification. We have places for students in our April 2018 intake, based at our Worle modern teaching facility near junction 21 of the M5. The programme can be 90% funded through the apprenticeship Levy funding scheme – just contact us for more details. If you would like more information on this programme, then just give us a call or email and we’ll do our best to answer all your questions. Varsity Training will be starting new Level 2, 3 and 5 Health and Social Care Diploma programmes in May. This will coincide with the introduction of the new apprenticeship Levy from the Skills Funding Agency. Under the new Levy 90% – 100% of programme cost can be funded. If you are thinking of developing your skills then get in touch, we can help. All apprenticeship students have access to our Dynamic Learning resource provided by Hodder Education. 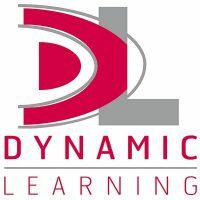 The Dynamic Learning resource is an online package that allows you to develop and practice your English and Maths skills along with support from our dedicated functional skills tutor. You will have access to the resources for the full length of your programme (up to two years). All of this is included in your programme at no extra cost. We also provide learning needs assessments and full support packages if required. As with all our training at Varsity Training, we want to support you at every step of the way. The new apprenticeship levy will be introduced in April 2017 and is intended to support the delivery of the government’s three million apprenticeships by 2020. Basically, you will be either a levy payer or a non-levy payer, either way you will want to maximise your use of the levy to provide training for your organisation. If you are a levy payer you will want to maximise your training to ensure you fully use your apprenticeship levy contribution. Varsity training is ready to support you in planning your apprenticeship training under the levy system and now is the right time to start planning. We are more than happy to come out and talk with you about what your requirements are as we are a provider of apprenticeships to both levy and non-levy employers. Great meeting on Friday with Janice & Paul from Echo Engage to help support us with our new marketing strategy and online presence, all very exciting!! Buy your NUSextra card now! Varsity Training are really pleased to announce that all of our students are able to purchase NUSextra cards. 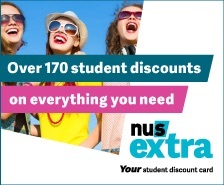 The cards offer hundreds of discounts exclusively for students from just £12. 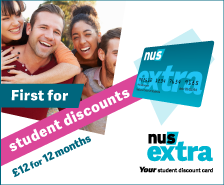 The NUS extra card gives you amazing discounts & is now valid for 1, 2 or 3 years. I use mine all the time, especially at the Apple Store & Schuh! Varsity Training is pleased to announce that we are now a delivery partner with the National Skills Academy for Health. The NSAHealth works with employers to ensure this vital sector of the workforce gets the training they need to do the job they love, creating and maintaining the high quality health service we all want. Delivery Partners are healthcare employers and training providers who share a commitment to excellence through skills development. Together we work to ensure high quality development for the support workforce and sustained investment in their skills and training. We’re really pleased to have entered into this partnership and are looking forward to developing our ties with the NSAHealth over the coming months. Varsity Training is pleased to announce that we are now in the position to be able to offer 24+ Learning Loans for our level 3 & 4 health and social care diplomas. We are an approved City & Guilds Centre and a delivery partner with the National Skills Academy for Health. Varsity Training offers both fully taught – employees attending training one day a week throughout duration of programme – and vocationally assessed versions of the diplomas. When applying for a 24+ Advanced Learning Loan, there is no credit check and household income isn’t taken into account — with loan repayments only beginning once you’re earning £21,000 a year. You only pay back 9% of any earnings over the £21,000 and the repayments are taken directly from your wage through the tax system, from April 2016.